I want to start off by saying that I love Real Techniques brushes. I own the core collection and the one for eyes. I never used brushes but I completely converted since my make-up collection grew and matured. Now, I use them on a daily basis and they are my go-to brushes. Sam and Nic Chapman brought out their bold collection, inspired by more luxury brushes for a more premium feel. There's 7 brushes in the collection - two for face, two for base and three for eyes. These aren't the cheapest brushes so I can't see myself going on a spree in Boots just yet. Prices range from £25 for the 100 Arched Power to £10 to the 202 Angled Liner. I'm eyeing up the Arched Powder brush, Flat Contour and Oval Shadow, maybe even the Pointed Crease. I pretty much like them all! You can buy them in Boots HERE. What do you think about these brushes? 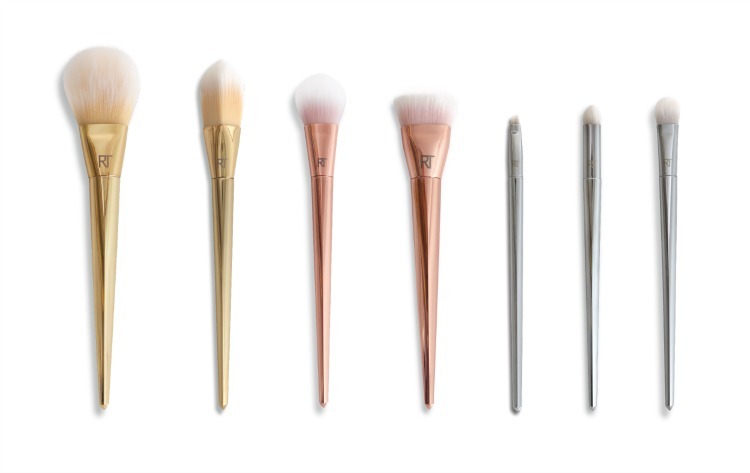 These brushes look amazing however they are pretty expensive for drugstore brushes.